Did you know tax penalties for not having health insurance increased to a minimum of $395 in 2015, and will increase even higher in 2016?! You Must Report Coverage or Lack of Coverage on Your Federal Tax Return. The Affordable Care Act (ACA) requires that we tell you whether you had health insurance from our plans in 2015, and what months you had coverage. 2015 marks the first tax year you will receive this report, but you will get one each year from now on. You must report the information on the enclosed 1095 form on your 2015 federal income tax return (filed by April 18, 2016). You may owe a penalty if you did not have minimum essential coverage for yourself and your dependents last year, and do not qualify for exemptions from the penalty. See Healthcare.gov for more information on these penalties and exceptions—consult your tax preparer for further information. Q. What is the Form 1095-B and why did I receive it? A. The Form 1095-B shows what months you were covered by health insurance from us in 2015 (see Box 23). Q. What should I do with the Form 1095-B? A. Give it to your tax preparer, or use it to report your health insurance coverage on your 2015 federal income tax return (filed by April 18, 2016). Keep the form with your other tax records. You do not need to include a copy of Form 1095-B with your tax returns. Q. What should I do if I think the form is incorrect or I don’t understand it? A. 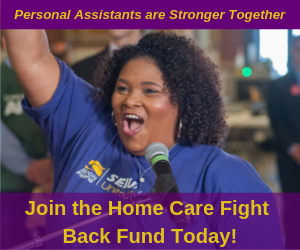 Please contact us here at the SEIU Fund office at 773-385-9300 for any questions you have about this form. Please be advised that we cannot provide you with tax advice; seek a qualified professional to answer your tax questions. If we made a mistake reporting your coverage for 2015, we will file an amended form with the IRS and a new Form 1095-B will be mailed to you as soon as possible. *Note: You will also receive Form 1095-C from your Employer stating whether or not they offered health insurance to you. Form 1095-C looks very similar to form 1095-B. You should keep a copy of both forms for your records. Why did I receive a 1099 for my health coverage? Because home child care providers are considered self-employed under the tax laws you receive Form 1099 s instead of W-2s, like wage workers. Home child care providers don’t pay any monthly premium for healthcare coverage, like most wage workers pay. Because of our contract with the State, the State pays the premiums for every child care provider who is enrolled in the health plan directly to the SEIU Health Fund so you can have health coverage. Is the 1099 amount considered taxable income? Yes. Although you did not receive any additional income, the value of your health plan is counted as income under federal tax laws. Keep in mind that under federal tax law, there may be deductions and credits you can take to reduce the taxable amount. Please consult a tax professional. I haven’t received my 1099 form, and I had the Union health plan in 2014. If you haven’t already received your 1099 form, you should contact the SEIU Health Fund at (773) 385-9300. We may not have an updated address on file for you. It is important to update your address with the Health Fund every time it changes. The Fund will send you a replacement 1099 form at your request. I just received my 1099. What if I filed my taxes already? If you filed your tax return without the 1099 for your health insurance, you will have to amend your tax return. Please consult a tax professional. I stopped working as a home child care provider, and did not have health coverage in 2014. Contact the SEIU Health Fund at (773) 385-9300. A Health Fund Representative will confirm your eligibility and whether you used the health coverage in 2014. If we confirm you lost eligibility and did not use the health coverage, the Health Fund will send you a corrected 1099. If you used your health insurance coverage, you will have to file the 1099. How long does it take to receive a corrected 1099 tax form? You will receive a corrected 1099 form within 7-10 days of speaking with a Health Fund Representative. If you have additional questions, please contact SEIU Health Fund Office at (773) 385-9300 or 877-734-8543.